The use of x-rays as an aid in diagnosis had been used for nearly 120 years. Its imagery now comes in film and digital format. The digital format is now preferred as it almost instantaneous in its production and can be sent anywhere in the world in minutes without losing the original! These images can also be manipulated by the computer for investigative purposes. As I said at the outset, they are an aid. Clinical assessment is vital to create an accurate picture of any part of the body. The approach to an image is to check every part of it is normal. If there is a problem you have a higher probability of finding it, because you are looking at ALL the image. The image is a 2D representation of a 3D object, so we need to check the real 3D object to confirm any issues arising from the x-ray images. All images are a representation of a fixed point in time. As the only constant is change, further images are needed to see these changes. This always depends on the situation of each patient. Sometimes a suspicious area never changes. If can’t do good, do no harm; leaving it alone is always an option. I have heard patients say “I don’t need x-rays as I have no pain”. PAIN IS TOO LATE! Who wants to suffer? 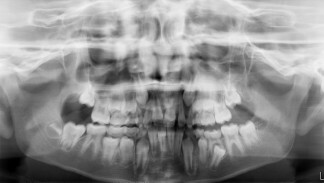 You are not saving money as the cost of a “toothache” easily exceeds the cost of the x-ray; both biologically as well as financially. Prevention is better than cure. I had decay half way to my nerve that was found on a routine bitewing x-ray. I had NO idea I had a problem. 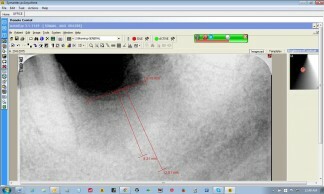 Filling done; tooth saved from extensive treatment; and a line in a blog created! This blog series does not cover CT scans or other types of 3D imagery. 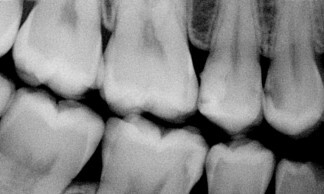 Why do we take OPG x-rays?